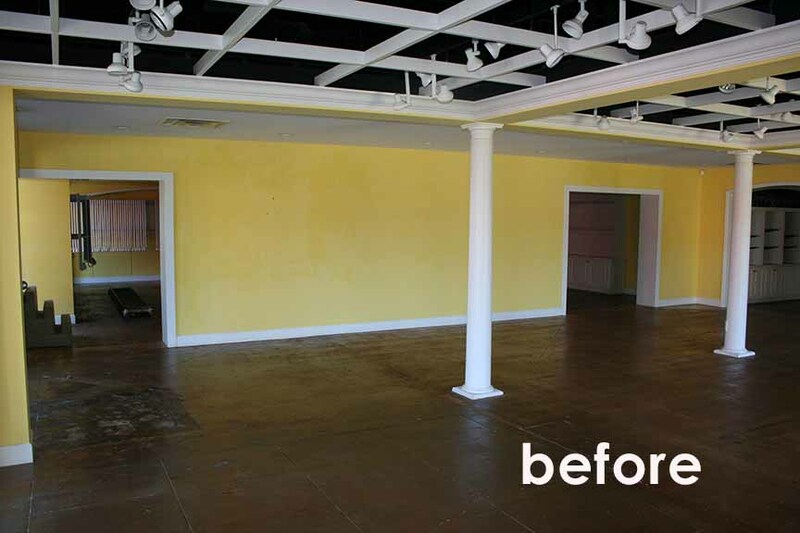 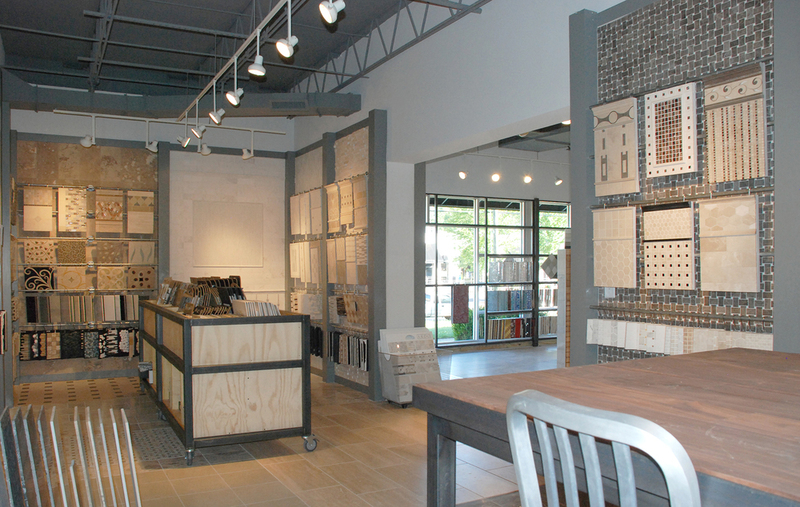 An existing 5000 square foot retail space renovation for a national tile showroom. 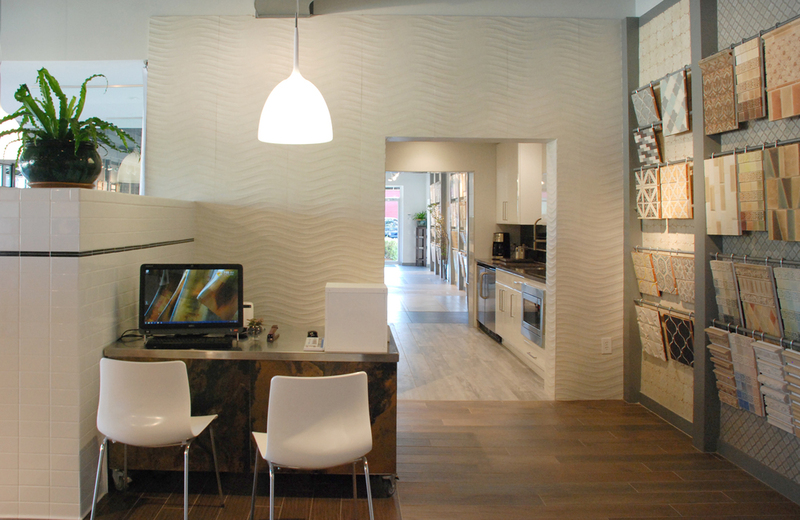 Overwhelming variety of tile showcased in the space, required inventive ways of display. 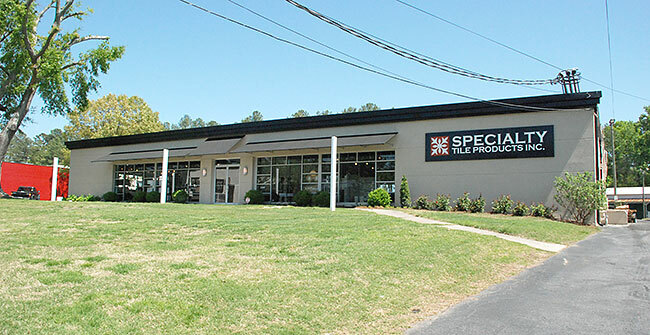 Taking advantage of the North facing storefront. 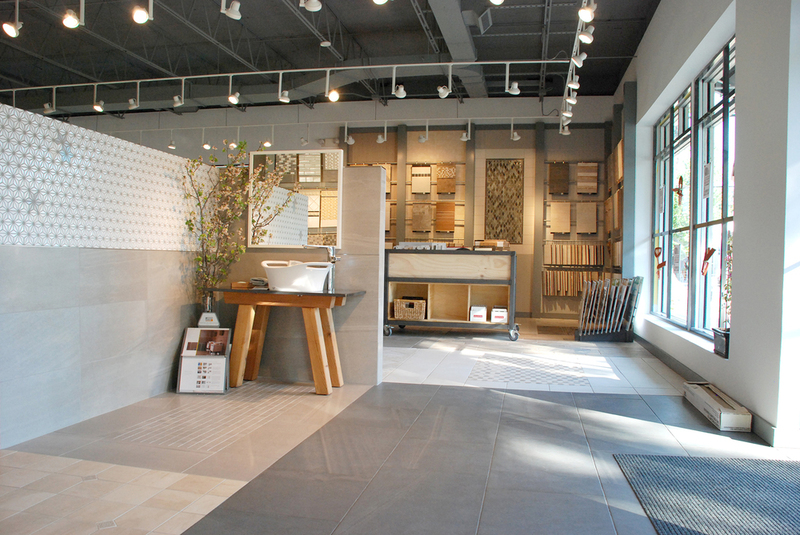 The windows left open, with a steel grid to frame tile panels. 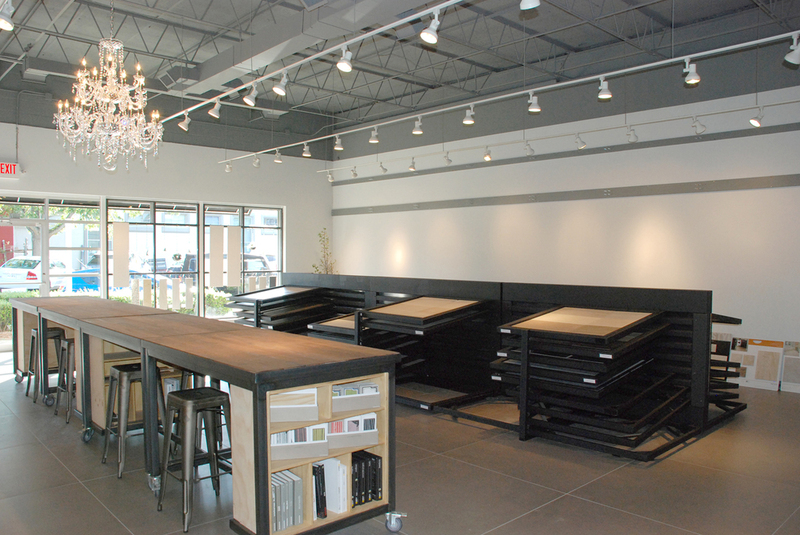 The steel work tables helped to break the space up with organizing elements.